Essential ceiling lights are designed for flicker free energy saving, high color rendering lamps or LED. Built to resist yellowing and chipping, select models come with add-on rims to complement your decor. 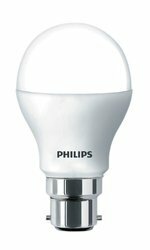 Designed as a retrofit replacement for incandescent or CFL lamps. Compatible with existing fixtures with a B22 holder. Philips LED lamps deliver huge energy savings and minimize maintenance cost.